Here’s something I bet you don’t know about me – I play soccer. Yep, even though I never talk about it on my blog. Until now, that is! That’s because I’ve recently rediscovered my love for the beautiful game and finally worked up the courage to go play again. I’d toyed with the idea of joining a team here, but never actually got around to it. I also wasn’t quite sure how to go about finding a team in the first place. 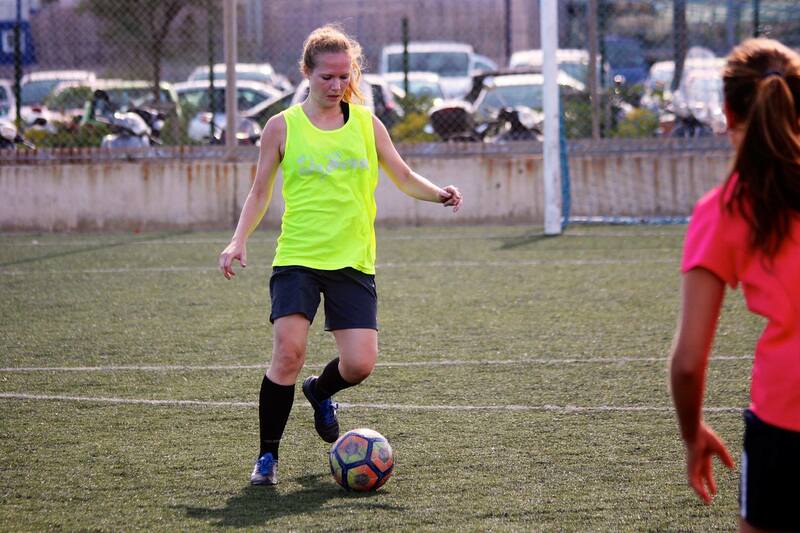 So, here’s the guide to where to play soccer in Barcelona that I wish I’d had a few years ago! 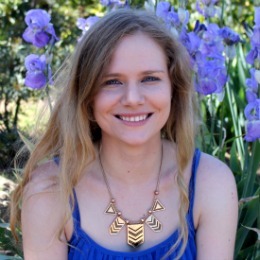 I’ve tried to answer every question I can think of to get you started playing ASAP. How do I find a team to play with? There are a few different ways you can find a team. I play two different ways – on a team in a girls’ league, and in one-off games with a company called Celebreak. The team I found through friends of friends. There are also a handful of online forums that have postings about teams, but they’re not especially reliable or quick. Once you’ve found a team, people sometimes ask you to join in other games. But from the outside, it’s tough to find out about this stuff (especially if you don’t speak Spanish). So, that’s when I found out about Celebreak. 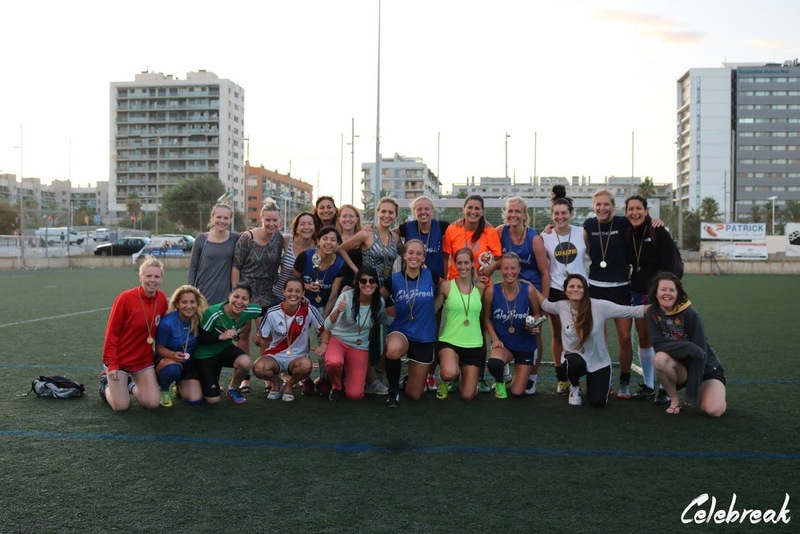 It’s by far the easiest way I’ve found to play soccer in Barcelona – and is lots of fun! There are usually 3 games every day of the week to choose from and it’s quick to sign up. To sign up for a game, you can either use their app or through AirBnb Experiences. Celebreak has lots of different ways to play, including casual games, a competitive league, and occasional tournaments. I’d gone a few times to play mixed games, where just a few girls would show up. But, recently they also added women’s soccer! What if I’m just in town for a few days? Then you probably can’t play on a team – but you can definitely join Celebreak’s pick-up games. People from all over the world show up, some expats, some who are just passing by for a few days. What if I’ve never played before? Or it’s been a while since I played? There are all kinds of levels, so don’t worry! I picked up playing again after an approximately 10 year break (which made me feel old for all sorts of reasons). Since, then I’ve played with everyone from girls who have played semi-professionally to people who’ve never kicked a ball in their lives. Most of the times, the games are 7-a-side, although there’s a bit of everything. I play in an 8-a-side league on the weekends. Recently, I played in a 5-a-side tournament with Celebreak, though their games are usually 7-a-side. (We lost every game but it was still a lot of fun!). 11-a-side can be trickier to find, simply because you have to get so many people together. My 8-a-side team has 18 girls on the roster, and sometimes it’s still cutting it close just because people are busy. Where are there soccer fields in Barcelona? You might have noticed that the city center is pretty packed in. But while you won’t find one in the Gothic Quarter, there are a handful that are centrally located. My favorites are in La Satalia Poble Sec, which has sweeping views of the city, and Agapito Fernández, literally steps away from Marbella beach. 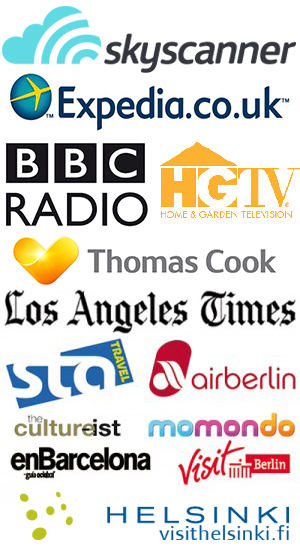 There are also ones near Rocafort, Arc de Triomf, Hospital Clinic, and along the main metro lines. This page has a map of the more centrally located soccer fields in Barcelona. Where can you buy cleats, shinguards, etc? There are a couple chains of sports stores in Spain. I usually go to Decathlon to buy whatever sort of gear I need. They have a huge selection of stuff sorted by sport, with a small section of soccer stuff. 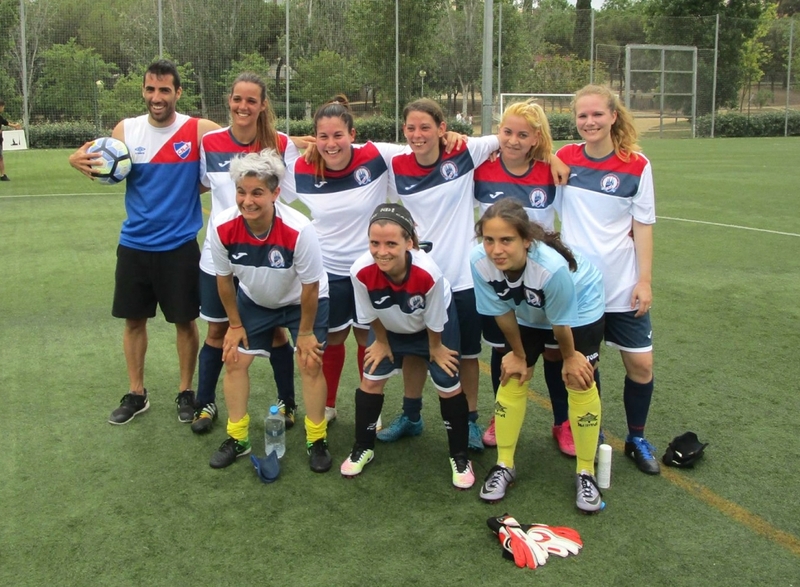 Women’s soccer isn’t as popular in Spain as it is in other countries, so the selection of stuff is generally tiny. You’ll probably have better luck looking in the running section for clothes to play in. For cleats, they sometimes group all the smaller sizes together – meaning women’s and kids’ shoes might be put together. You can get a nice pair of cleats for around €20. 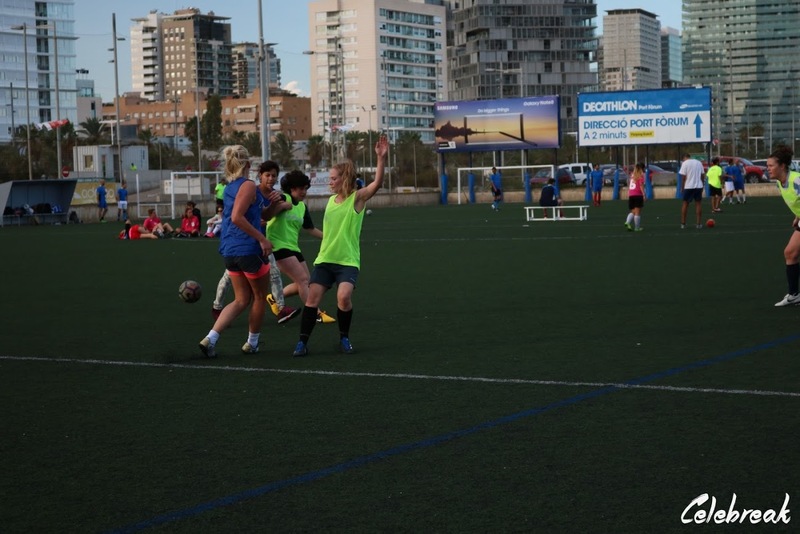 Anything else you’d like to know about where to play soccer in Barcelona? Let me know in the comments! 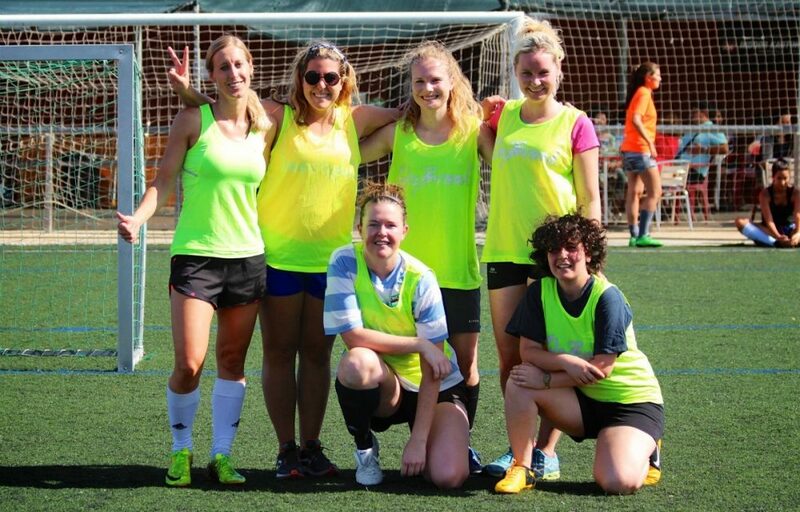 Thanks to Celebreak for their help with this post – and for some seriously fun soccer games! I like the environment of Barcelona for soccer. There are so many good places to play soccer there. I just love Barcelona.